District Kitchen&apos;s giant soup dumplings. This year, the Lunar New Year starts Feb. 5, ushering in the Year of the Pig. Food is a central part of the festivities. The feast might bring jiaozi, dumplings, traditionally eaten during the Chinese holiday to bring good fortune (they’re shaped like ingots). Or banh tet, the leaf-wrapped packages of rice with fillings that are central to Tet, the Vietnamese celebration. If a home-cooked meal isn’t on your calendar, here are eight restaurants where you can share in the holiday spirit. Fields Corner is the heart of Boston’s Vietnamese community, with excellent restaurants specializing in pho, banh mi, and more. Anh Hong is always a good choice, filled with families coming together over bubbling hot pot and solo diners popping in for quick bowls of noodle soup and rice plates. The restaurant specializes in bo 7 mon and ca 7 mon, seven-course feasts of beef and fish, respectively. Start with a salad, then move on to fondue, grilled sausages, grilled beef or fish with butter, and rice soup. It’s a bountiful, satisfying, and celebratory meal. A craft cocktail bar inside a Sichuan restaurant inside a historic mansion in Woburn. Ran Duan’s opera-singer parents opened the restaurant, Sichuan Garden, to support the family. In 2009, their son, an award-winning bartender, added first-class cocktails to the mix. The Baldwin Bar is on the first floor, a dark, cozy space with a 12-seat bar and a few tables. Here you can order dumplings and dan dan noodles, Chengdu dry hot chicken wings and braised fish with napa cabbage, accompanied by a Trader Ran’s four-rum Old Fashioned. Upstairs you’ll find swank lounge the Baldwin & Sons Trading Co., operating Thursday through Sunday with its own cocktail list. Don’t forget to make reservations if you want to be sure of a spot. And if Woburn is too far, last year Duan served up another cocktail spot, Blossom Bar, in the Brookline branch of Sichuan Garden. 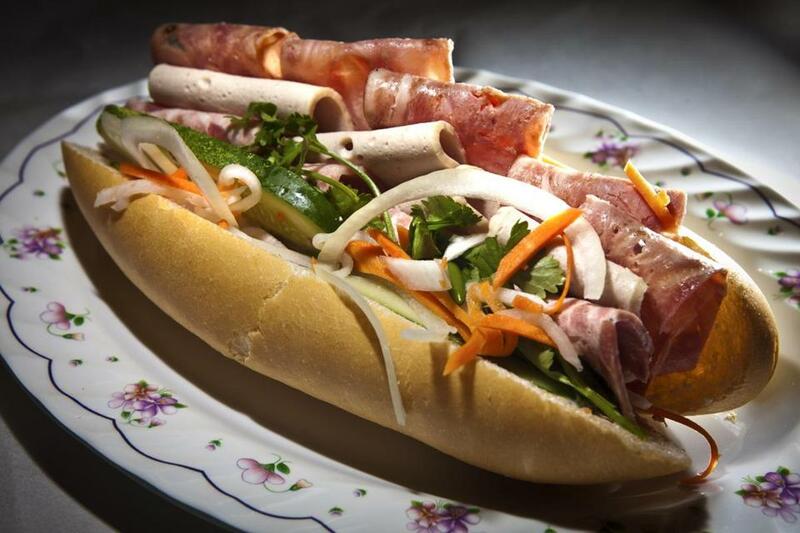 A special combination sandwich at Banh Mi Ba Le in Dorchester. It’s not that the other prepared foods here aren’t tempting. It’s just that it’s near impossible to come to this corner shop with the blue awning and get anything other than one of the excellent banh mi. The fillings are always solid: grilled meats, head cheese and ham, tofu, crisp pickled vegetables, cilantro. But it’s the crusty, baguette-like bread that boosts this sandwich above many local banh mi. Banh Mi Ba Le isn’t a sit-down place. Get in line, order, maybe grab an avocado shake or Vietnamese iced coffee on your way out. It’s also a store, with a selection of packaged goods to peruse. And at this time of year, it’s a good place to stock up on pre-made banh tet. In 2016, Best Little Restaurant, a longtime Chinatown standby run by the Moy family, got remade for the next generation — and by it. Brendan and Brian Moy, the team behind hip hop-blasting, Shadowless fries-slinging Shojo, turned a bare-bones space into a sleek, low-lit restaurant with red lanterns and a wall covered in mahjongg tiles. 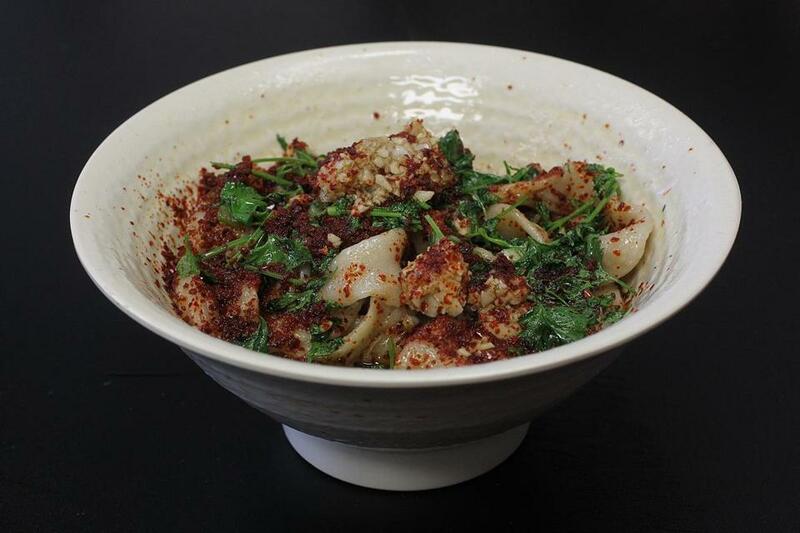 As at Shojo, the menu features modern takes on Chinese food. If you really want to have a party, look to the group-dining menu, which requires 48 hours’ notice for a reservation. It features large-format dishes made for sharing, banquet-style: crab in a gorgeously incendiary Malaysian curry, Peking duck with all the fixings, make-your-own pig’s head bao. Toast with sake cups, beer, or house cocktails. This stylish Malden restaurant is all clean lines and blond wood, with flat-screens above the bar, $10 scorpion bowls for one, and an open kitchen where chefs prepare squid-ink noodles with seafood, pork-belly noodle soup, and more. But the main attraction may be the dumplings, handmade by Jianchun Zhang, mother of owner Stacey Zhang. They come with different meat fillings and in a vegetarian version, and there’s also a cuttlefish dumpling in a wrapper stained black with squid ink. 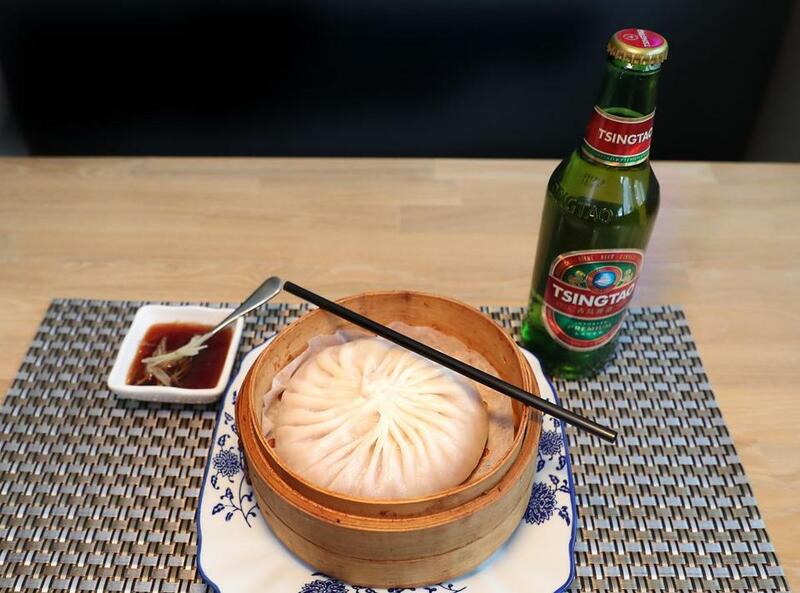 Whatever else you order, don’t miss the XXL juicy pork and shrimp bun — a soup dumpling so ginormous it could fill a C cup. To drink the flavorful broth, you’ll need to poke a hole in the side with a straw and sip carefully, making sure not to scald the inside of your mouth; the dumpling arrives in its steamer piping hot. Then cut into it for a bite of the ginger-laced filling of ground pork and tiny shrimp. A dish at Gene's Chinese Flatbread Cafe. Gene Wu came to the United States from his native Xi’an to study chemistry. Then he began making and serving excellent hand-pulled noodles. Sorry, science, but lucky for us. He now runs three restaurants showcasing his specialty, in Westford, Woburn, and this branch in downtown Boston. The thick, chewy, rustic noodles come topped with chile oil, cilantro, and drifts of raw garlic or cumin-laced lamb, or in noodle soup. There are a few other dishes on the menu, too: tea eggs, lamb skewers, a pork flatbread sandwich, rou jia mo, that is kind of like the burger of Shaanxi province. But the noodles are the highlight. Eat them in situ off a red plastic tray; they suffer a little as takeout. The siblings behind Mei Mei — Irene, Margaret, and Andrew Li — have written a new cookbook, “Double Awesome Chinese Food: Irresistible and Totally Achievable Recipes From Our Chinese-American Kitchen.” Release date: Feb. 5, when they’ll be doing an event at Brookline Booksmith. Happy New Year! The following night, there’s a dinner at the restaurant to celebrate, featuring some their favorite recipes from the book. (Tickets are $75.) Feb. 23 you can take a dumpling-making class, learning recipes from the book; you’ll also get an autographed copy. Or just show up at Mei Mei during its usual hours to enjoy locally sourced “creative Chinese-American food” such as Double Awesome sandwiches (egg and cheese on a scallion pancake), curried sweet potato, ma la cucumbers, and, of course, dumplings. This is one of the best dim sum spots in the Boston area. Winsor serves all day long, but come early on the weekends to snag a table before the crowds show up. Then eat your fill of har gow and shumai, steamed rice rolls, wok-fried rice cake in XO sauce, pork buns, deep-fried sesame balls, and much more. Everything is fresh, whether ordered from the menu or off the carts that roll round. Cash only.